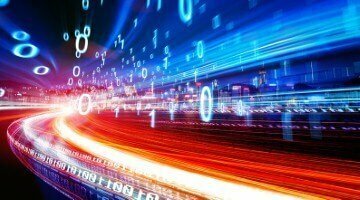 Initial testing on 5G technology with the capability of delivering broadband 100 times faster than today’s has been successful, according to engineers at the University of Sussex and collaborators from telecom consultancy firm Plum. The university said engineering experts are “pleased” with the successful completion of measurements of the indoor coverage of 5G signals in some of the first tests of its kind carried out in the country on its premises earlier this summer. These tests are a significant step towards establishing the capability of 5G, as well as ironing out issues ahead of its expected commercial availability next year in the US and by 2020 in the UK. He added that his team’s research is now focusing on “these new frontiers of 5G”, in addition to investigating future deployment by operators, including indoor coverage and spectrum coexistence in newly assigned 5G frequencies in 3.5 Ghz and lower mm-wave bands. 5G is expected to deliver data rates at least 20 times faster than 4G. Meanwhile, the technology is also being tipped to radically speed up the roll-out of fibre broadband coverage. According to the researchers, this is currently being hindered by the significant costs of laying cables into millions of homes. However, 5G Fixed-Wireless Access technology will be capable of covering multiple homes from mobile base stations placed in residential or rural neighbourhoods, with the potential for peak data rates of up to 1Gbps.